I had a wonderful time. It was very exciting. Everyone was very nice. It was the experience of a lifetime. 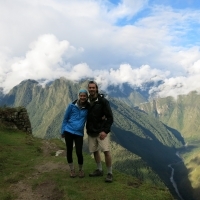 The Salkantay trek to Machu Picchu was an experience I will never forget. The most beautiful trek ever! 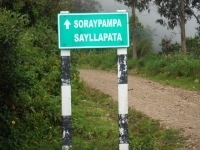 I loved the trek! 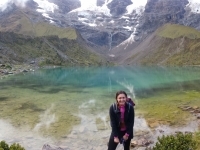 We had a nice experience on the Salkantay trek. The best guide, Carlos a.k.a. Mr. Shortcut. He took care of us all the time and woke us up with hot coca tea in the morning. Nice wake up call! 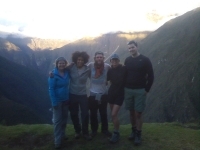 The Salkantay trail was an amazing experience and our guide Carlos was the best. Carlos had answers to all of our questions and took care of us. Going into this my wife and I were a little nervous. 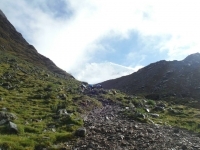 We're young and healthy but not the most accomplished trekkers! 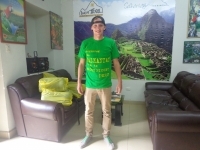 Attending the Salkantay tour was an unique and unforgettable experience. 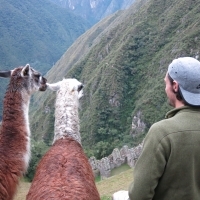 Seeing the old Inca village Machu Picchu has been a dream of mine since I can remember. 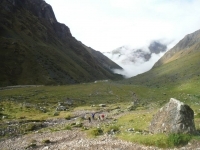 Hiking the Inca Trail has always been a goal of mine. 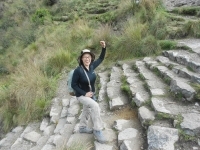 We chose Inca Trail Reservations because it was recommended by a friend and I'm glad we went with this tour company. This past Tuesday we embarked on a trek of a lifetime! 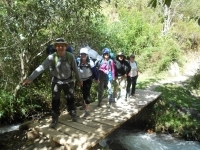 As a group, we started the 4 day trek up the famous Inca Trail headed to Machu Picchu. Along the way we visited several incredible archeological sites and took in all of the amazing views the trail had to offer. 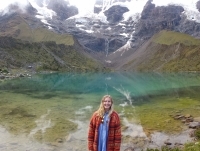 I purchased this trip as a Christmas gift for my boyfriend after a strong recommendation from my daughter who trekked with this company about 4 years ago. Hello my name is Mitchell, this was one of the greatest experiences of my life. I have always wanted to come to Peru. My time here was very exciting and fun. Everything from the timely transportation to our guide Lito, was more than I could ask for. 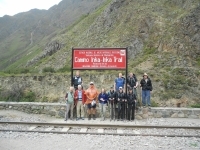 Our Inca Trail hike has been very pleasant. Our guide Lito is knowledgeable and very resourceful.